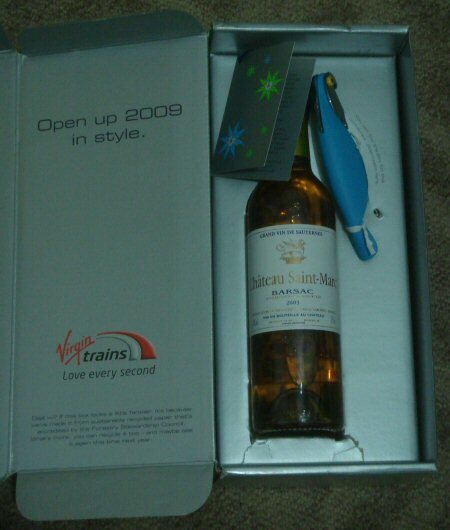 Two years ago, Virgin Trains sent me an unexpected Christmas gift: port, cheese, biscuits and mince pies. Last year, it was just the port and cheese. Today I got another parcel. 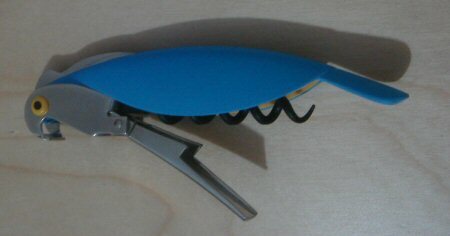 This time it’s just half a bottle of wine and a corkscrew that looks a bit like a parrot. I don’t like moaning about free stuff, but if you’re going to make cutbacks like this just send me the bloody mince pies. You’ll have to excuse my ignorance about wine. I never drink it, so I don’t need to know anything about it. But I did a little research and apparently Sauternes is usually sold in half bottles because it can be difficult to find the half-rotten grapes that it’s made from. I’ll either mix it with lemonade or use it for cooking.